Well, I’m just over two weeks into the world of electric car ownership, and enjoying it very much so far. 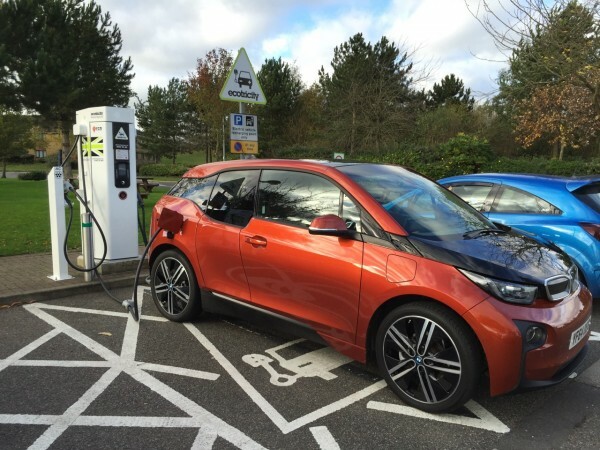 I’ve driven about 400 miles in my i3, and since some proportion of my charging has been at free public charging points, the ‘fuel’ cost to me so far has been about 4 quid. If you conveniently ignore the enormous purchase price and future depreciation of an almost-new BMW, the cost of actually running an electric car is less than going by bus, a lot less than using traditional car, and phenomenally cheap when compared to a train. What I didn’t realise, though, when I first started this, was that I was taking on a hobby as well. There are many reasons why people buy electric cars (and here I’m talking about purely- or predominantly-battery-powered, rather than hybrids). I think a large group — the relatively silent majority — buy, say, a Nissan Leaf or a Renault Zoe as a second car, charge it in their driveway each night, and use it for all their around-town day-to-day stuff, but rely on the Volvo diesel for going on holiday or for anything much beyond the range of a single charge. That, at present, is an exceedingly sensible use of an electric vehicle. Then there are people like me. Some of us are tree-huggers. Some are gadget enthusiasts. But we feel like real pioneers because life is a bit harder out there on the frontier. We depend much more, perhaps entirely, on our batteries. We know acronyms that you don’t know. 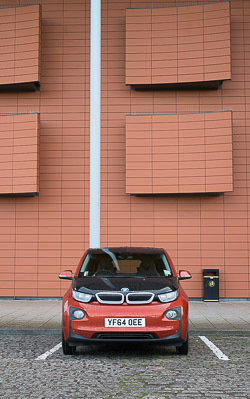 We measure efficiency in miles-per-kWh. 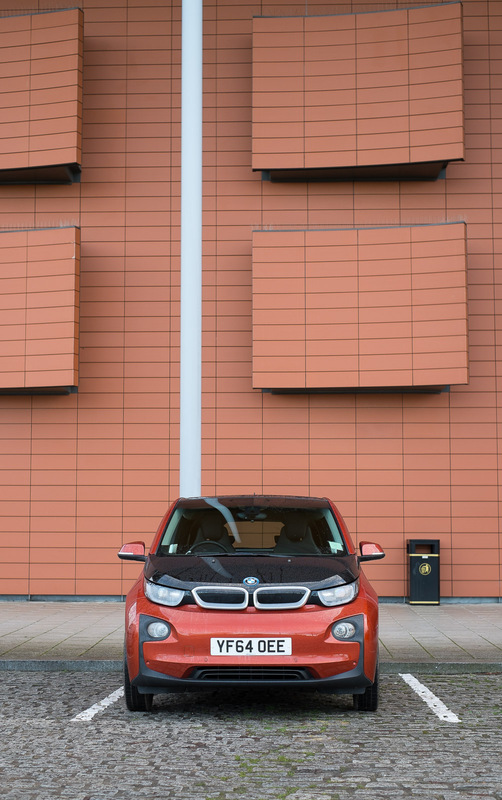 We understand how best to handle the chaos that is the current public charging infrastructure, and we know when the charging stations at Leicester Forest East or South Mimms are out of action. In short, it’s an enthusiasts’ club, and it reminds me more than anything of the days in my youth when I used to go sailing, or caravanning, or hang-gliding; when people with beards would gather in out-of-the-way places to discuss windspeeds, safe harbours, and the various cunning hacks they’ve made to their equipment, or their lifestyles, to allow them to pursue this interest more effectively. It’s actually a big part of the fun. Most of these communities are now on Facebook or other forums, of course, and they are exceedingly good-natured and informative. One completely unexpected change for me is that I now consult Facebook once or twice a day because it actually contains stuff that interests me — in the past I seldom ever looked at it except in response to messages or comments from others. And it’s fun that there are occasional real-life meetups too, like the one I visited last month. Unlike hobbies such as sailing, or classic-car restoration, though, this really is pioneering, in the sense that what we’re doing is clearly anticipating the future and trying to live in it a bit earlier than is perhaps sensible. In my case, for example, I don’t have off-street parking, so I have to jump through some hoops to charge in the street without inconveniencing my neighbours. And since my outdoor fast charging socket won’t be installed for another week or so, I currently refuel my car by running an extension lead through my letter box a couple of times a week! This seems like a hassle, but it actually takes less time than visiting those big smelly petrol stations I remember from the past. If I were really sentimental, it might occur to me that my cute little car prefers coming back in the evening for comfort and refreshment at home, rather than going to one of those brightly-coloured flashy bars that some other cars go to, where the drinks are so expensive. But I’m not that soppy, so it didn’t occur to me at all. My situation does highlight a challenge that governments are going to have to face soon, though: the places that will benefit most from electric vehicles are the cities, which are also the places where the smallest proportion of residents will be able to charge at home. I think a key part of making this work will be ensuring plentiful opportunities for occasional casual charging in car parks, on the street, at businesses, cafes, pubs and supermarkets. We need to start thinking about a power infrastructure that allows the majority of parking places at your local Tesco to provide a few kilowatts, rather than just one or two specially-marked spots in the corner. Anyway, going back to my original thread, you might point out that claims of being a hardy pioneer are a bit rich coming from someone with nice heated leather seats in his BMW. And you would be right. There are others who have been doing this for years, in less capable vehicles, and who depend on it for a daily commute. 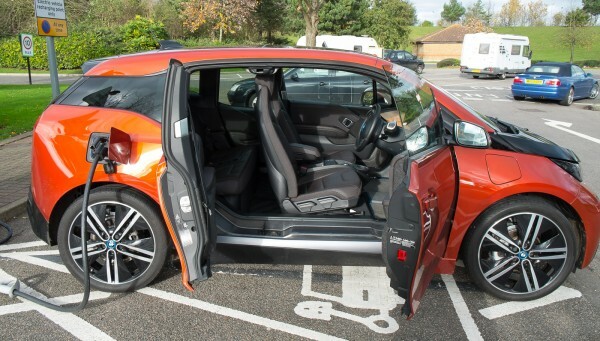 I cannot even claim to have cut the fossil-fuel umbilical cord completely because my car does have a ‘range-extender’ – a small built-in generator in the back with a couple of gallons of petrol, which can maintain the battery charge at its current level in situations when charging really isn’t an option. 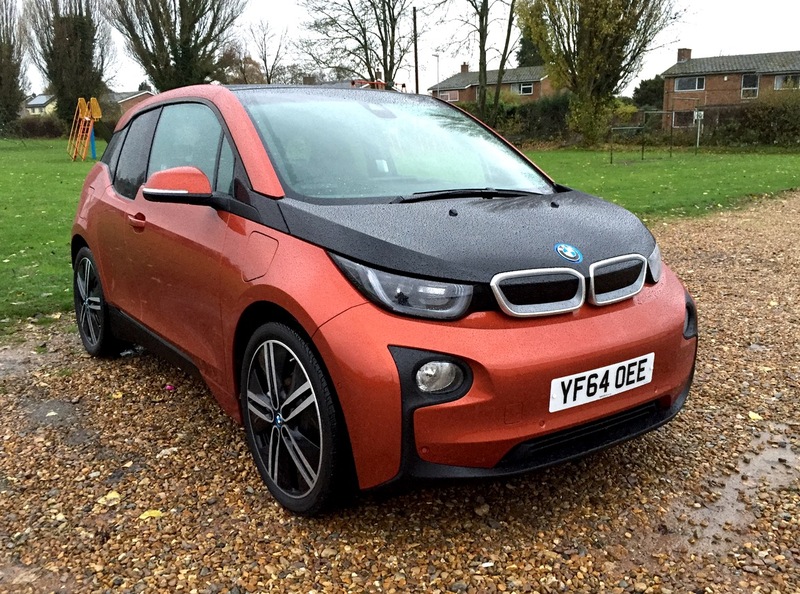 The i3 is not really a hybrid, it’s an electric car with an optional safety net accessory – something to get us through the next five or ten years while the charging infrastructure solidifies – and in my case, something which allows me to consider an electric vehicle as our only car. I haven’t actually used the range extender yet, except for demonstrating it briefly to friends, so I can still use a nice phrase I saw online recently: “It’s good to get my MPG back into four figures.” No, my only real claim to hardship at present is in the sudden and rather dramatic change in my bank balance, comparable to if I had decided to buy a modest boat or motorhome. What I’d really like to do is follow the example of some EV enthusiasts who charge their cars primarily from solar, and can claim to drive around the country powered only by sunshine. But that would involve moving house to something with off-street parking and a roof facing in the right direction. No. Not yet. But as I was ticking off the miles cruising home in comfort down the motorway at 70mph yesterday night in the rain, it did occur to me that even this was a quite remarkable ability to have achieved from that little cable I occasionally run through my letterbox. You see why we’re enthusiasts? Here’s my new toy, charging up at the Birchanger Green service station on the M11 yesterday. Now, I’m no eco-warrior, but it’s very satisfying to think that the great majority of the 250-or-so miles I’ve driven in it so far have been powered by wind, thanks to Ecotricity. Also, it has cool doors!